This pack is specially designed to benefit bees and other pollinators, with species that flower at different times providing nectar, pollen and nesting sites. It can create a 10 x 125m shelterbelt or a small copse and is subsidised (part-funded) by the Woodland Trust* to help you grow the perfect habitat for our pollinators as well as providing a haven for other wildlife and cleaning the air and water. 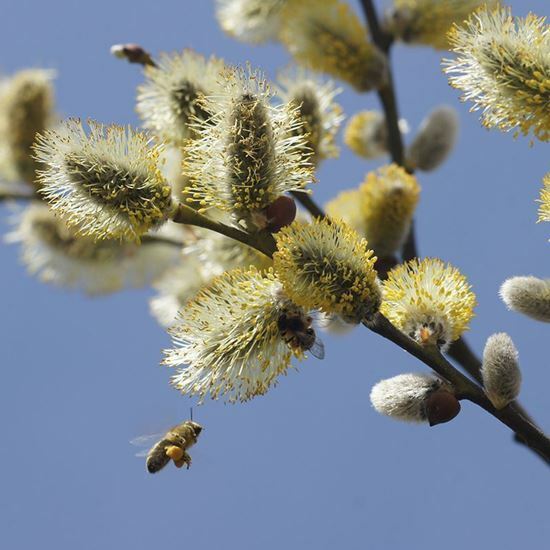 These packs are made up of 210 cell grown saplings; 30 blackthorn, 45 goat willow, 45 crab apple, 30 rowan, 30 hazel and 30 dog rose, which are all suited to growing on large plots of land. 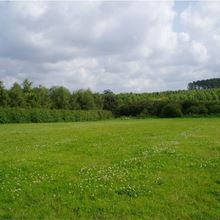 The saplings are approximately 20-60cm in height (depending upon species) and should be planted 2.5 metres apart. Wherever possible, we try to match the tree provenance to your location. You will also receive 210 spirals and canes to help protect your new trees from small mammals**. Estimate full-grown height: Blackthorn: 6-7m, Crab apple: 7-9m, Dog rose: 1.5m, Goat willow: 6-10m, Hazel:+10m and Rowan: 8-15m. More information about the trees in this pack can be found here. 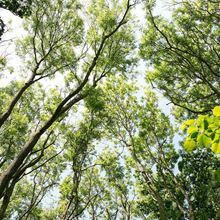 *The Woodland Trust are subsidising approximately 60% of the cost of these tree packs. ** If your trees are being planted in a location that is prone to grazing by deer, we would suggest that you purchase tubes and stakes from our accessories to help protect your trees. Size and spacing: Our shelterbelt pack contains 210 trees. We would suggest you plant these 2.5 metres apart which will allow your shelterbelt to be 10m wide by 130m long, or 5m wide by 260m long, and will give you a total area of approximately 0.13ha. Design: You can mix different species at random by planting in staggered rows, or you can plant each of the shrubs (hawthorn, hazel and rowan) along one side of your shelterbelt. The latter approach will create a graded woodland edge on the chosen side, which can help to improve the value of the belt for shelter and wildlife. You can also plant alongside an existing hedgerow or you could enhance the value of your tree belt further by widening it. This can be achieved by adding some evergreen shrubs or trees, or by planting a double-row hedge on the windward side. The longer your tree belt and the better connected it is to existing woodland and therefore the greater the benefits there will be for biodiversity.